If you’re missing work because of back pain or have to skip social events, you need the expertise of a skilled physician like John Regan, MD. At Spine Group Beverly Hills in Santa Monica and Beverly Hills, Dr. Regan uses advanced diagnostic technology to determine the root cause of your back pain. He then provides a wide range of treatment options to relieve chronic pain in your back and improve your quality of life. Learn more about available back pain treatment options by calling the office or using the online booking feature. Conditions like scoliosis, a curvature of the spine, can also result in chronic back pain, especially as you age. What are the symptoms related to back pain? In some cases, such as a fall, you may experience acute back pain that lasts for a few days before the symptoms resolve. Underlying medical conditions like herniated discs may cause chronic back pain that needs medical intervention. How do you diagnose back pain? Dr. Regan performs a physical examination, checking your back for areas of tenderness. He may also ask you to move in certain ways to determine your range of motion and muscle flexibility in your back. To confirm a diagnosis, Dr. Regan may recommend imaging tests such as an MRI or X-rays to provide a closer look at the structure in your back. He might also order an electromyography (EMG), which uses electrical impulses from your nerves to identify areas of nerve compression due to herniated discs or a condition known as spinal stenosis, a narrowing of your spinal canal. What treatment options are available for back pain? Initially, Dr. Regan may recommend physical therapy and at-home strength-training exercises to relieve pain in your back. He may also suggest lifestyle changes like losing weight and quitting smoking to improve your symptoms. If exercise and physical therapy aren’t enough to improve functionality in your back, Dr. Regan may prescribe pain relievers or muscle relaxers to keep you comfortable. If you have compressed nerves from a herniated or ruptured disc or spinal stenosis, Dr. Regan may recommend surgery. 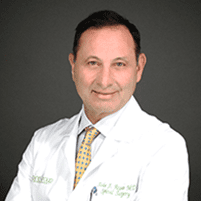 He specializes in minimally invasive surgical techniques to improve your recovery time and ensure long-term pain relief. Learn more about back pain treatment options by calling Dr. Regan’s office directly or using the online booking feature.